Be a carrier of happiness for the women you adore on a cheerful moment of celebration. 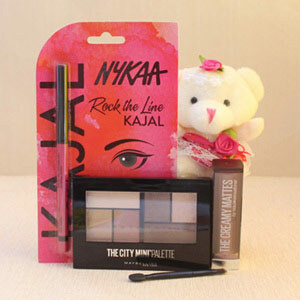 Exquisitely stacked with all the essential beauty products for the women you desire to surprise like a nail paint, lipstick, Kajal, and deodorant, this gift hamper is a great choice for her. 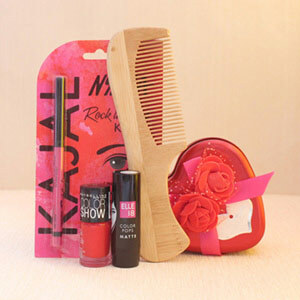 Buy this hamper and let her feel beautiful and loved every time. 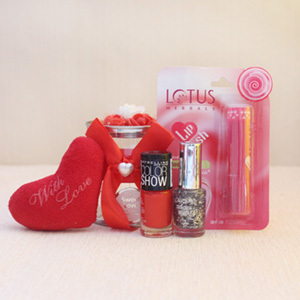 Placed an order for this hamper for a friend. All the content in the hampers is in well condition. The only thing was a date late delivery. Other than that, I am pleased with the gifts range of this website.